Prednisolone is used to treat a variety of disorders that involve inflammation in the body. The Online Clinic no longer prescribes Prednisolone but we may be able to recommend an alternative. We no longer prescribe Prednisolone online but we may be able to offer an alternative. 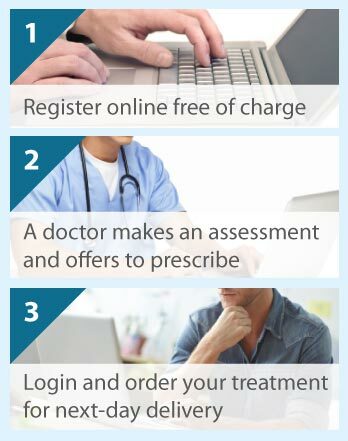 Please select the appropriate consultation type and you will be referred to one of our doctors for assessment. Prednisolone is one of a group of medicines known as steroids; specifically, it is a glucocorticosteroid. Glucocorticosteroids occur naturally in the body, helping to maintain good body functioning and the health. Prednisolone is effective in the treatment of many different inflammatory diseases and conditions. Such diseases include autoimmune diseases (e.g., rheumatoid arthritis, systemic lupus erythematosus, and ulcerative colitis), and skin, blood, respiratory, kidney, bowel, muscle, and joint problems. If left untreated, the inflammation may escalate and worsen your condition. By taking extra glucocorticoids, Prednisolone acts by reducing inflammation. Prednisolone is often taken in a tablet, which comes in a range of doses and in regular, gastro-resistant, and soluble forms. There is also an oral solution, a suppository, an ointment, and an injection. Tablets (regular and gastro-resistant) should be taken whole with a glass of water, at regular intervals but can be divided into equal doses. Soluble tablets are dissolved in water and the drink should be taken immediately. The oral solution is provided in a bottle; a syringe is used to withdraw the medicine from the bottle, which is then swallowed. The suppository is gently inserted into your back passage where it will dissolve. A small amount of the ointment is gently spread over the affected area. The injection is given by the doctor. Avoid eating liquorice when taking this medicine. Your doctor will decide which preparation is best to treat your condition, the exact dose that you should take, and when to take it. Your prescription may change according to your disease severity and response to the medicine. Regular doses will provide you with the greatest benefit. It is important not to suddenly stop taking this medicine; your doctor will tell you when and how to stop. You may be advised to gradually take lower doses to prevent side effects such as fever, aches, pain, nausea, and faintness. If you do stop the medicine of your own accord, then do tell your doctor and particularly if you get side effects. If you forget to take a dose, then take it as soon as you can unless it is about the time for the next dose (do not take two doses at once). Seek medical advice immediately if you take too much. You will be given a blue ‘steroid card’ with information about your treatment if you have to take Prednisolone for longer than 3 weeks. It is important to keep this with you all the time in case you are ill or have an accident. Prednisolone may be taken by people of all ages. Women should advise the doctor if they are pregnant or breastfeeding, or have any plans to become pregnant or to breastfeed, before taking this medicine. Allergies to Prednisolone or the ingredients in the preparation, adverse reactions to other steroids, and an untreated systemic infection will preclude you from taking Prednisolone. You are advised to tell your doctor before you take this medicine if you (or a family member) have had depression or any other mental health problems. Because you may have to visit your doctor more often than other people, mention if either you (for your safety) or any family member) have brittle bone disease (i.e., osteoporosis or low bone density) as Prednisolone can make this worse. Additionally, mention epilepsy as epilepsy medicines can also lower bone density, and conditions including diabetes, high blood pressure, glaucoma, stomach ulcer, muscle weakness and both mild and serious infection as Prednisolone may exacerbate them. Some medicines interact with Prednisolone, affecting the action of either Prednisolone or the other medicine. Therefore, tell the doctor about all of your current medicines (prescription and non-prescription), medicines that you have stopped taking recently, and those you may take soon. Specifically mention painkillers and anti-inflammatory agents, oral contraceptives (or other medicines containing oestrogen), and medicines for epilepsy, diabetes, thinning blood, tuberculosis, and cancer. If you have recently had or are scheduled to have a vaccination, or are having surgery, then mention this to your doctor or the nurse because Prednisolone may interfere with the vaccine or with the muscle relaxants taken at the time of surgery. You should be aware that Prednisolone can increase your risk of getting infections, which may be more serious than normal. It is recommended that you avoid people with chickenpox or shingles, especially if you have not had these infections. Report to your doctor immediately if you either come in contact with anybody with chickenpox or shingles, or contract these infections. You must stop taking Prednisolone if you have any of the following signs indicating an allergic reaction: rash, swelling of hands, feet, face, facial features and throat, and swallowing or breathing difficulties; a stomach ulcer: black stools or blood in your stools or vomit; or pancreatitis: severe stomach pains radiating to your back. It is quite common for people taking Prednisolone to have mental health problems, such as depression; feeling suicidal, ‘up’ and/or ‘down’, or anxious; problems with sleeping, concentration, confusion, memory loss, and seeing/hearing imaginary things. Such effects are usually experienced when starting the medicine or if the dose is high, and disappear when the medicine is stopped or dose lowered. Prednisolone may cause some other serious effects such as extremely sore throat with swallowing difficulties, white patches inside the mouth, bad headaches, nausea, seizures, fainting, and problems with eyesight. Prednisolone can also prevent normal growth in children and adolescents. Contact your doctor immediately if you have an allergic response, mental health issues, or any side effects that you think are serious. Other side effects, which are more likely to occur in the elderly and that may occur while taking this medicine, include: intestinal tract problems (bloating, indigestion, and pain), weight gain or loss, weakened muscles, tendons and bones (osteoporosis), tiredness, menstrual irregularity, change in hair growth, thirst with frequent need to pass water, increased blood pressure and water retention, blood clots, blood abnormalities, worsening mental health problems or seizures if you already have them, more frequent infections or the return of infections (e.g. tuberculosis), and skin problems (e.g., acne, redness, thinning, stretch marks, and poor wound healing). Dependency on Prednisolone and eye problems (e.g., glaucoma and cataracts) may occur with long-term use.